The results are in, for the deviantWEAR Design Battle Semi-finals. Not surprisingly, my submissions didn't win. Oh well. There were hundreds of submissions, so it's to be expected. Still, I felt my chances were good and my designs might just get in. 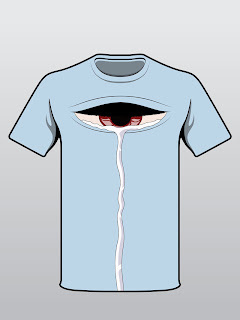 I submitted two t-shirt designs to the "Fashion" category, which just means that I didn't include the deviantART logo. After checking out the designs which did make it into the semi-finals [link], I must say I am somewhat underwhelmed. There were two I mostly liked, but nothing I would actually buy. Go figure. So now I just have to look into the possibilities of getting my shirts printed on my own. We'll see how that goes.